Make an incredible entrance using our stunning starlight LED Dance Floor walkway. This is available in various sizes and shapes and is the perfect additional to any starlight dance floors. This product is ideal for weddings, birthdays, other parties and corporate events. Available in any of our White, Black or Black & White Chequered or striped Starlight Dance Floors. 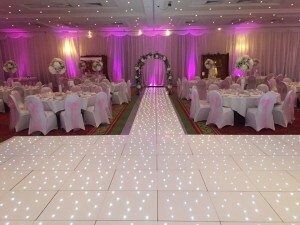 The LED starlight dance floor walkway is also ideal for grand entrance for your first dance. All our white starlight walkway hire consist of more reliable cable connection panels, other companies use the “wireless” type, which is quicker to set up and take down. But these can have problems at venues with uneven floors and thick carpets, as they can make the wireless type lose connection to the panels and your dance floor goes off. The Starlight walkways have hundreds of LED’s built into them, which allow it to produce a twinkling effect. 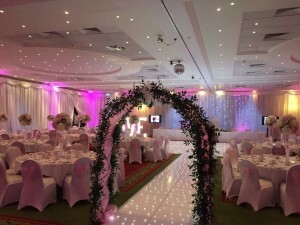 Whether you require the white LED lights to remain static, or flash and twinkle, the dance floor lighting can be fully controlled to change the intensity and flash speed, as well as even make the floor sparkle to the tempo of your first dance. In the flesh, in photos, and in videos, these dance floors look truly magical! 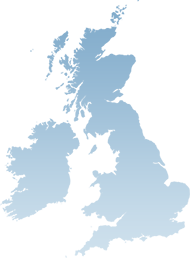 Many of these features are not available by our competitors, as we have developed them in-house with our own technicians to give you the best possible service. Our fully trained staff will deliver, set up and remove the Starlit dance floor away afterwards so you don’t have to worry about a thing. During installation we will also fit polished aluminium edging so that your guests can step on and off with ease (it is the same height as a traditional wooden dance floor). Starlit walkway from only £150, contact us for more details.